Grameen Sahara’s vision is to improve the quality of life of the poor and disadvantaged people in rural, semi-urban and urban areas in India’s northeast region through development and livelihood promotion actions and support. Grameen Sahara provides financial services, technical assistance and other required development support services in an integrated manner. –	Improve the pace and quality of life of the rural and urban poor especially the village and decentralized sector. –	Focus attention on the women, children, scheduled castes, scheduled tribes, minorities and other backward communities for economic self-sustenance. –	Create, develop and support self-employment avenues for the educated unemployed rural and urban youth. –	Build social capital that will be used by the community and for the community. –	Use all the available natural, social, economic and other resources for the well-being of the community. Women on Wings and Grameen Sahara will work towards their joint goal of increasing the number of jobs and livelihood opportunities for women in rural areas where Grameen Sahara is working. 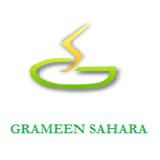 This includes mainly the silk and spices business of Grameen Sahara. At the start of the partnership 600 rural women are engaged with Grameen Sahara.